Along the banks of the South Platte River in Colorado, against the backdrop of the Rocky Mountains, an idea is beginning to take shape. It’s a live-in library, a place where books and nature and history come together, and where writers, researchers, and anyone else can bring a suitcase and stay awhile. It’s called the Rocky Mountain Land Library, and it’s the vision of Jeff Lee and Ann Martin, two longtime employees at the Tattered Cover Book Store in Denver. It’s an idea that’s been decades in the making, after Lee and Martin traveled to the London Book Fair in the mid-1990s and took a weekend jaunt to Wales, where they stayed at what is now called Gladstone’s Library. It was a cross between a library and a dormitory, and provided them with a perfect jumping-off point for learning about the country they were visiting. The horse barn will eventually host specialty libraries on topics such as mining history and the fur trade. Their search eventually took them to South Park, where they found Buffalo Peaks Ranch, an abandoned ranch 10 miles south of Fairplay, Colorado, and about 100 miles southwest of Denver. The bunkhouse (left), cook's house (center), and Lambing Barn (right). 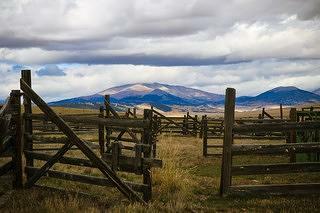 The corrals, with Mount Silverheels in the background. 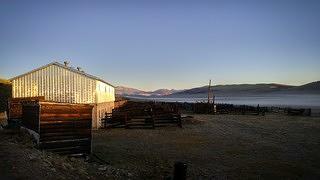 The cattle and sheep ranch was established in 1862 by French couple Adolphe and Marie Guiraud. At its height of operations, it spanned 5,000 acres. Adolphe died in 1875, and Marie kept the ranch going—and growing—until her death in 1909. It stayed in the family until 1943, then changed hands several times until the City of Aurora purchased it in 1985 for its water access. It has sat empty for the last 25 years, slowly deteriorating under the harsh South Park weather. 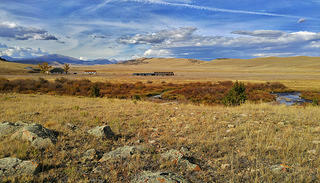 The ranch, along the South Platte River. 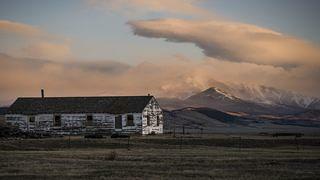 The ranch’s condition didn’t deter Lee and Martin. “To us, it felt like, well, here’s another great aspect of what we can be doing up there—just saving this old ranch,” Lee says. There are a handful of structures on the ranch. Lee and Martin have a plan for each, with specialty libraries, dining facilities, and guest lodging. It’s a fitting undertaking for a library focused on all things related to the history, culture, and ecology of American West. And it’s an undertaking that excites Jim Lindberg, vice president for research and policy at the National Trust, based in the Denver field office. 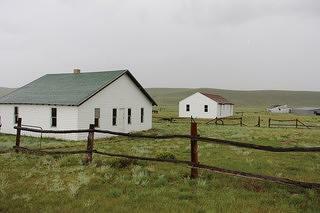 It was Lindberg who steered Lee and Martin to look for a site in Park County, Colorado. While fundraising is a major focus, some work is already underway. For the past two summers, Lee and Martin have paired with HistoriCorps to complete some basic stabilization tasks, like repairing leaky roofs, rehabilitating windows, and repainting the ranch’s original bunkhouse, which will one day provide guest lodging. 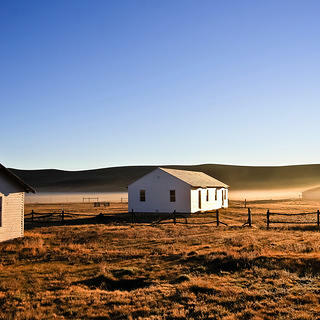 And with the help of University of Colorado Denver architecture students, the ranch was placed on the National Register of Historic Places in 2016. Earlier this year, Lee and Martin wrapped up a successful Kickstarter campaign, raising more than $140,000 to complete renovations on the structure called the Cook’s House. The finished building will include two bedrooms, a kitchen, a large classroom space, and the ranch’s first library collection. Lee hopes work will be wrapped up by next summer. 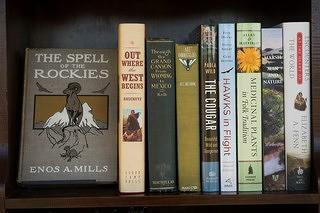 Lee and Martin have collected some 35,000 volumes for the Rocky Mountain Land Library. In the meantime, visitors are already trekking out to Buffalo Peaks Ranch for the workshops Lee and Martin have been organizing for the past three summers, which focus on writing, art, and natural history. 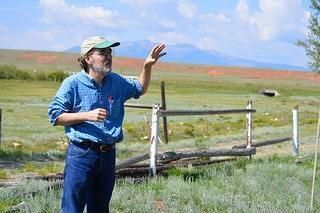 This year, there have been workshops on poetry, landscape drawing, nature writing, and wetland plants.